Below is the news release from Governor Haslam and our elected officials on cuts in services to Medicaid to be effective July 1, 2014. 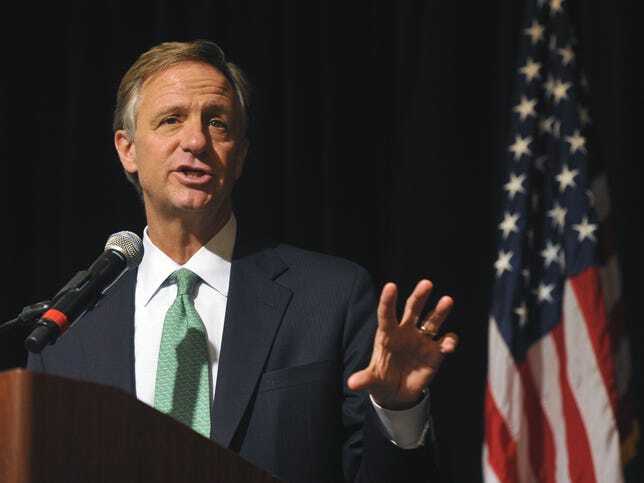 Tennesseans are loosing in every way as the expansion to Medicaid, with the huge funding it brings, is refused by Governor Haslam. I urge readers to use the contact information at the end of the release to inform our representatives and senators of the sufferings that will result by the implementation of Amendment 21.
listed in this notice are currently supported with non-recurring funds that have been made available through a hospital assessment fee scheduled to expire on June 30, 2014. Should the fee be renewed, the changes contained in Amendment 21 will not occur. Amendment 21 will eliminate certain currently covered services and establish benefit limits on others. Children under 21 will not be affected by these changes. Eligibility for TennCare will not be affected by these changes. Pregnant women and institutionalized persons will not be affected by proposed benefit limits; however, they will be affected by the elimination of coverage for occupational therapy, speech therapy, and physical therapy. It is our intention to submit this amendment to CMS with the request that it be approved in time for implementation to occur on July 1, 2014. Corresponding State Plan Amendments will be filed, where appropriate. We estimate that implementation of the amendment and corresponding State Plan changes will result in a decrease in aggregate annual expenditures of $302,722,400 in State Fiscal Year 2015. Copies of this notice will be available at county health departments in Tennessee, and on the TennCare website located online at http://www.tn.gov/tenncare/. Written comments may be submitted by email to Susie.Baird@tn.gov or may be mailed to Mr. Darin Gordon, Director, Bureau of TennCare, 310 Great Circle Road, Nashville, Tennessee 37243. Persons wishing to review copies of written comments received may submit their requests to the same email and/or physical address. Peer Support Centers- What Are They Worth? Tennessee according to current plans will do away with its 45 peer centers. What exactly will it lose. This information comes directly from Tennessee Dept of Mental Health and Substance Abuse. The peer centers in Tennessee serve an average of 3500 people a day. They are served literally for dollars a day. 106 certified peer specialists are employed. They serve every corner of the state. Almost every community has access to at least once. If you could put all the peer centers together in one location they would be by far the largest source of mental health services in the state of Tennessee. They provide recovery education. Quoting from the Department... "Trained Certified Peer Recovery Specialists lead evidence-based classes, covering such topics and curricula as the Wellness Recovery Action Plan, Illness Management and Recovery, the Chronic Disease Self-Management Program, and the BRIDGES psycho-education course. Other topics include stress management, anger management, and grief counseling. Each center also provides support groups to its members. They provide opportunities to volunteer in the community and give back. And perhaps most importantly an opportunity for socialization for people who might otherwise have none... "Peer Support Centers provide socialization opportunities that address the isolation felt by many people who live with mental illness. Members enjoy going to local community events, such as art fairs, city clean-up days, or holiday festivals; playing games together, such as charades, cards, or even kickball; and even going out for lunch from time to time. 95% were better able to ask for help when needed. 93% felt like they were more in control of their life. 93% felt like they were less likely to go to a psychiatric hospital. Is there anything in your life that has such important impacts in your life?? How much would you be willing to pay for something that did? And most importantly if you knew you could help other people to feel the same way about their life how much would you pay? In a time when the government does so many things that dont make a difference how badly would you want them to continue doing this? You can make a difference. Speak now. Speak loud. Speak often. There are 45 peer support centers in Tennessee. Next year if things go as planned there may be none. It makes you just want to shake your head. When I heard I emailed a bunch of people. I thought I had misheard. I knew no one could seriously make such a suggestion. I was wrong. For a few dollars a day per person served peer support centers give a chance at success for people who have never had success. People who have never made it in the community make it. The last figures I saw indicated a 90% decrease in psychiatric hospitalization. The savings from that alone should almost pay for the program. In a time when the jails are filling with the mentally ill how in the world can we shut down one of the most successful community based services we have?? This program defines the notion of "bang for your buck." How is this in any way a savings?? We lecture our children about thinking before they act and considering the long term consequences of their actions. Shouldnt we expect the same out of ourselves and particularly our political leaders?